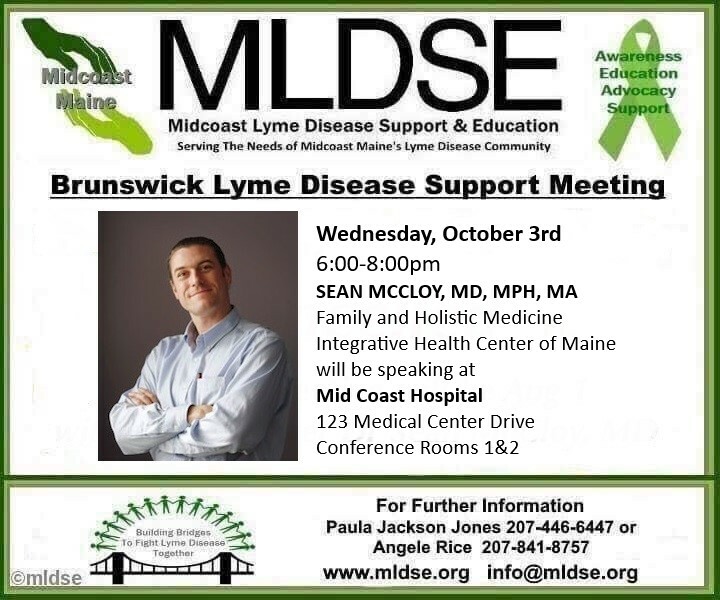 On Wednesday, October 3rd, Midcoast Lyme Disease Support & Education (MLDSE) will host Dr. Sean McCloy of Integrative Health Center of Maine at their Brunswick Lyme Support meeting held at Mid Coast Hospital from 6-8:00pm in conference rooms 1 and 2. Dr. McCloy will be speaking about the two clinical trials that he is currently running and seeking volunteers for ~ Chronic Fatigue and Lyme Disease. 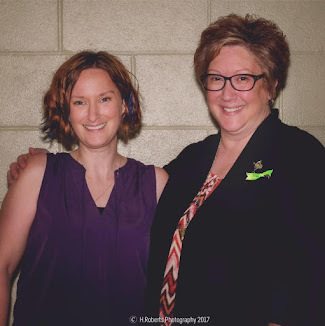 If you suffer from one or both, come to the meeting, learn more about these trials and what participating entails and see if you are a candidate. Sean McCloy, MD, MPH, MA received his Medical Degree from New York Medical College. 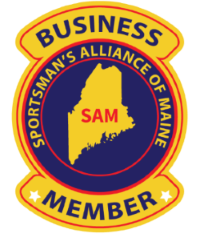 He completed his Family Medicine residency training at Maine Medical Center in Portland. He is a board-certified Diplomate in both Family Medicine and Holistic Medicine. He received his Master of Public Health (specializing in Health Promotion and Disease Prevention) from Boston University School of Public Health and his Master of Arts in Medical Sciences from Boston University School of Medicine. He is certified in Chelation Therapy from the American College for Advancement in Medicine (ACAM). Besides offering Holistic Family Medicine, Dr. McCloy specializes in Intravenous Vitamin Therapies, Heavy Metal Detoxification, Functional and Nutritional Medicine, and Bioidentical Hormone Replacement. He also uses Osteopathic Manipulative Medicine in his treatment approaches. He sees all ages of patients, from newborns to geriatrics. By restoring balance to his patients, he lets their bodies, minds, and spirits heal themselves. Instead of using medicines to cover up symptoms, Dr. McCloy hunts for the roots of an illness. After treating these root causes his patients often find they can stop taking their pharmaceutical medications. Integrative Health Center of Maine offers Whole Health for the Whole Family. 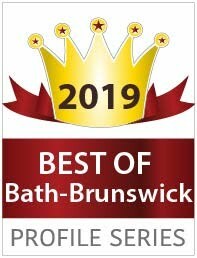 IHCM is a diverse group of practitioners who share a common vision: To help their patients achieve a state of true wellness and health using conventional and natural treatments. IHCM practices true integrative medicine, combining various healing modalities to help people of all ages find their path to wellness. 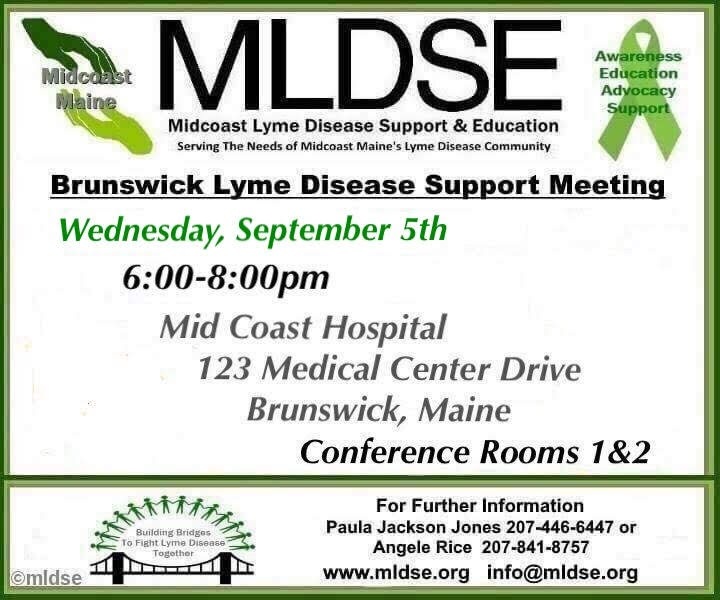 MLDSE support meetings are free and open to the public. Childcare is not provided so please plan accordingly.